Hector Berrios: A champion rider in his homeland of Chile, Berrios won his first race in the U.S. at Del Mar last year and is especially potent aboard two-year-olds and longshots. Since coming to America, the 25-year-old reinsman has a 29 percent ROI on horses with 10-1 odds or higher and a 116 percent ROI on juveniles. 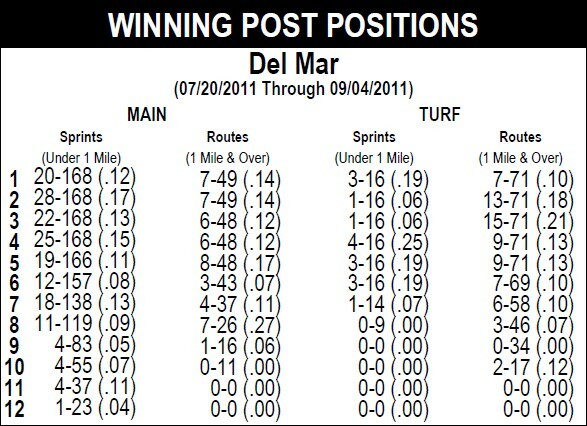 Bob Baffert: Hasn’t won a Del Mar training title since 2003, when he won his seventh in a row. Nonetheless, the veteran conditioner is one to keep an eye on, especially when he’s got a two-year-old running. 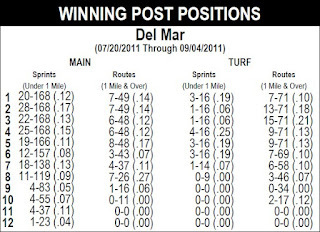 Last year, Baffert saddled five juvenile winners from just 24 starters at the seaside oval — good for a 6.3 percent ROI. Horses that last raced at Turf Paradise, Calder, Saratoga, Prairie Meadows or Lone Star Park were a combined 0-for-39 at Del Mar in 2011. 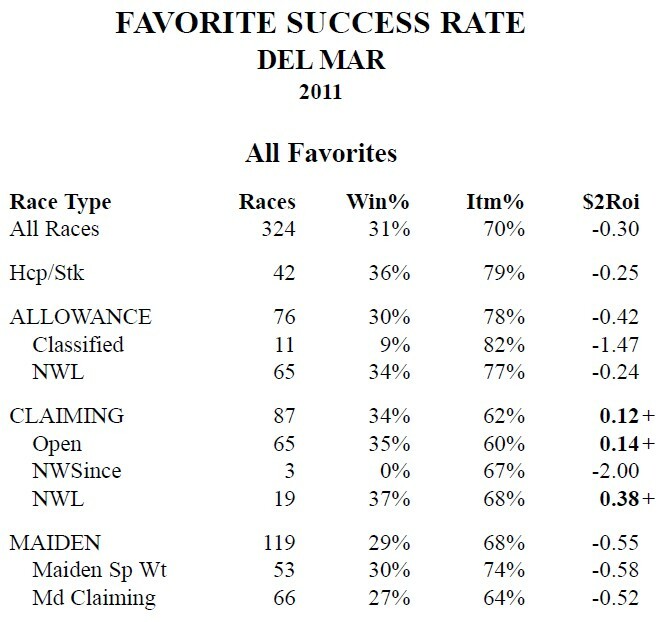 Not surprisingly given the quality of horses running, Del Mar produces a healthy percentage of winning favorites, especially in claiming races. Unlike Santa Anita and Hollywood Park, which favor early runners, Del Mar is all about the closers. 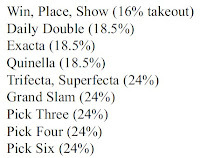 Whereas 42 percent of all six-furlong races run at Hollywood Park through July 8 have been captured in wire-to-wire fashion, just 24 percent of such races were won in similar style at Del Mar last season. 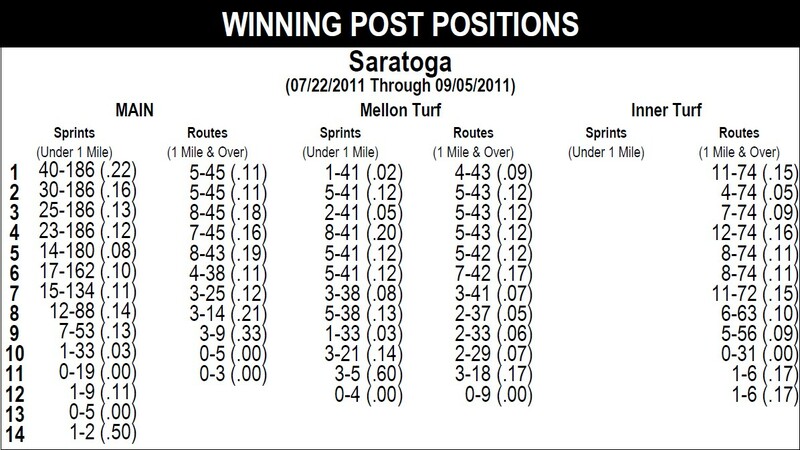 On the lawn it’s even worse, as just 16 percent of all turf routes were won by horses leading from flag fall to finish. Hence, it pays to look for stretch runners where the surf meets the turf, particularly if they ran well at Santa Anita or Hollywood Park. Also, watch for Golden Gate shippers. The surface of that Northern California track is similar to Del Mar’s and many horses run better than their inferior class lines might otherwise suggest. Eddie Castro: A consistent rider who is particularly adept on longshots (23 percent ROI on horses with 10-1 odds or greater this year). What’s more, he’s dynamite when riding for Kiaran McLaughlin (40 percent winning rate over the past two years). 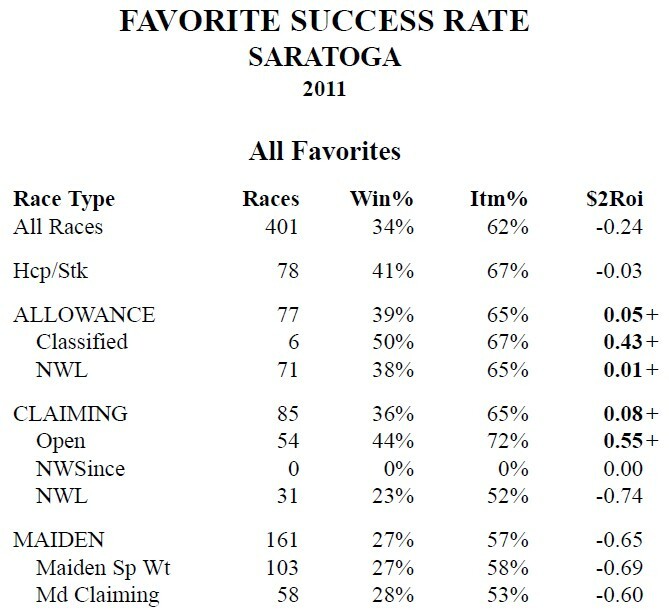 Chad Brown: Typically points for the Saratoga meeting and is deadly with horses dropping in class. He’s also very good at stretching horses out in distance or shortening them up. And when the blinkers come off? Head to the windows; since 2006, Brown has scored with 44 percent of his starters that are removing their eyewear. Animals that last raced at Ellis Park, Keeneland, Mountaineer, Charles Town or anywhere outside of North America were a combined 2-for-40 at the Spa in 2011. Contrary to popular opinion, the “Graveyard of Favorites” is exceedingly formful, boasting a success rate for favorites in line with the national norm, despite unusually robust fields. Last year, in open claiming races, for example, favorites won 44 percent of the time while producing a healthy ROI of 27 percent. 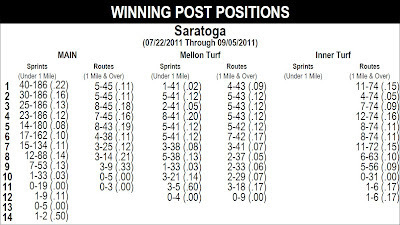 The main track at Saratoga favors early speed types, particularly in sprint races (36 percent overall wire-to-wire win rate, 44 percent in races at 6-6 ½ furlongs). On the lawn, the opposite is true. Even turf sprints, which are often won by speedy types at other venues, favor closers at Saratoga. 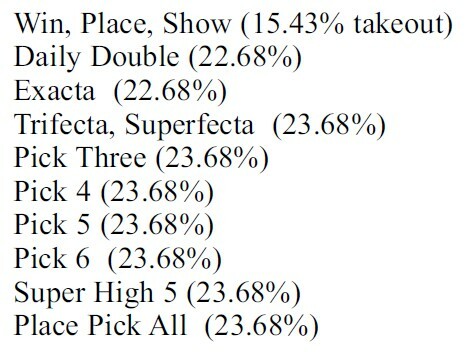 This closers bias is even more evident on the inner turf, where just 15 percent of the races carded were won by the horse leading at the first call in 2011. Interestingly, at least last year, it was harder to go wire-to-wire at a mile (13 percent winning rate) than it was at 1 1/16 miles (24 percent rate). For more great track stats, be sure to check out Brisnet.com. 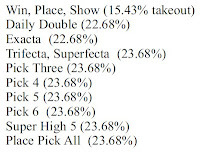 Click HERE to get a free Win Factor Report for The Meadowlands on Saturday, July 14. 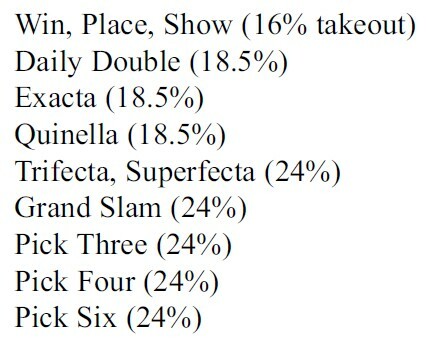 In addition to the $600,000 Meadowlands Pace, Saturday’s “Big M” card includes four races rated 75 percent or higher and suggested exacta plays in eight of the 13 races.